Discover the secrets of ancient artefacts. 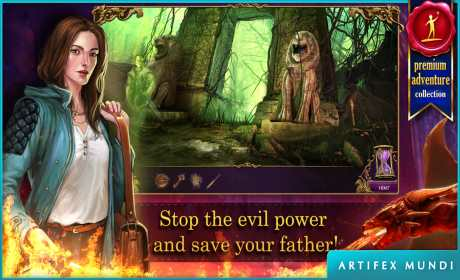 Travel into the past to force back the evil power which threatens your father. The Secret Order 2: Masked Intent is a suspenseful adventure with historical elements based on the theme of the conflict between good and evil. The daughter of the Master of the Order of the Griffins receives an alarming call. She is the only person who can stop the new member of the high council – the Secret Five – from destroying the Order. The organisation has guarded the world for centuries, but recent events have brought it to the verge of ruin. Embark on an epic journey full of magical items, forbidden mysteries, and time travel. Restore the order of the world and make amends for the sins of the past. 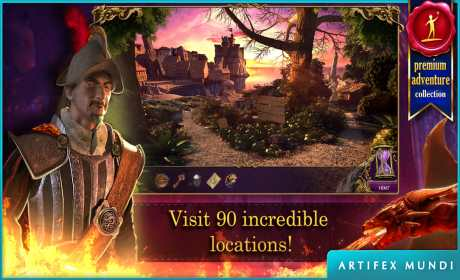 Learn the secrets of forgotten artefacts, travel to the 17th century, earn the trust of the spectres imprisoned on a mysterious island, and discover the seat of the Clan of the Dragon, whose only mission is to thwart the efforts of the Order and to spread chaos. Will the two powerful artefacts be returned to their rightful places and will the world be saved from destruction? Will the Master’s daughter live up to the task? 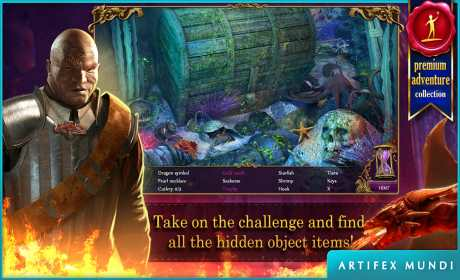 • Find over 260 items in 15 hidden object scenes! • Explore 90 stunning locations! • Complete over 30 various minigames! • Earn 25 challenging achievements!